Haha. 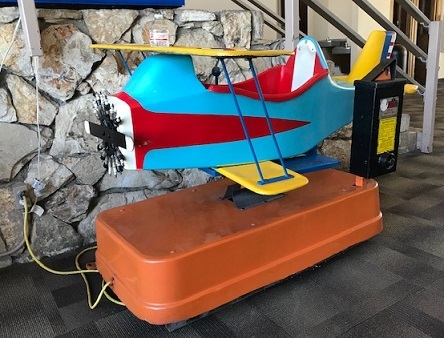 My kids have ridden that plane before, but they did not receive beverage service. The experience is not authentic without the scent of a nearby popcorn machine. The scent of aviation fuel is not a proper substitute.